It’s Day #3 in our 12 Cakes of Christmas series! 12 bakers baking… some of the most lovely cakes you could ever imagine! Elegant. Sophisticated. Exquisite. You’re going to flip when you see today’s cake! The 3rd Cake of Christmas is brought to us by the queen of romantic ruffle cakes, Maggie Austin. And what do you get when you combine Maggie’s meticulously hand-ruffled layers with a bold splash of plaid? 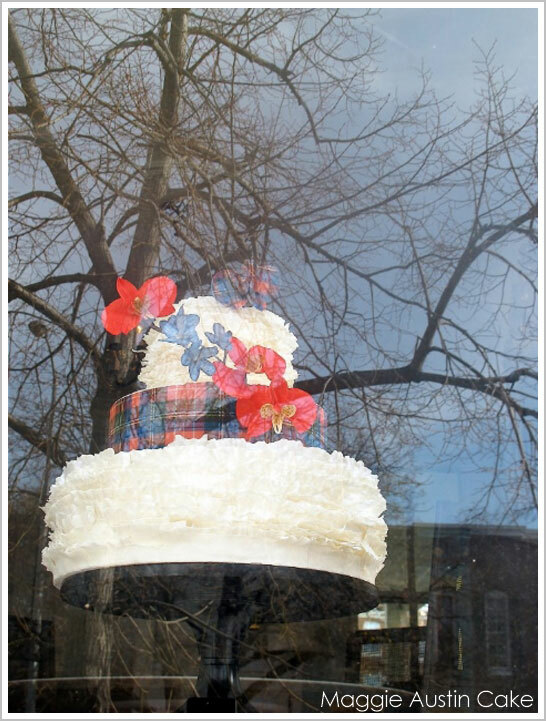 An absolutely stunning and festive Scottish Tartan Ruffle Cake! 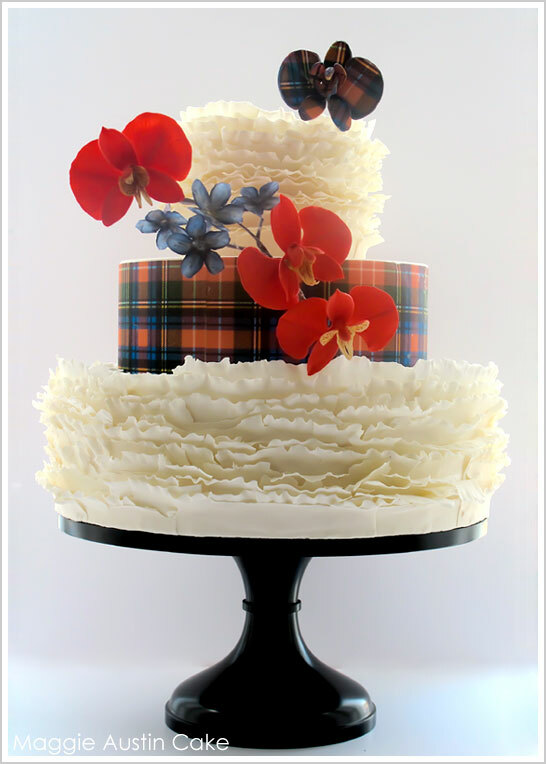 With a perfect balance of bold plaid and romantic ruffles , this cake is absolutely stunning! It’s as though Maggie’s first career as a classical ballet dancer transcends into her cake work…. each design seems to possess the grace and elegance of a dancer. 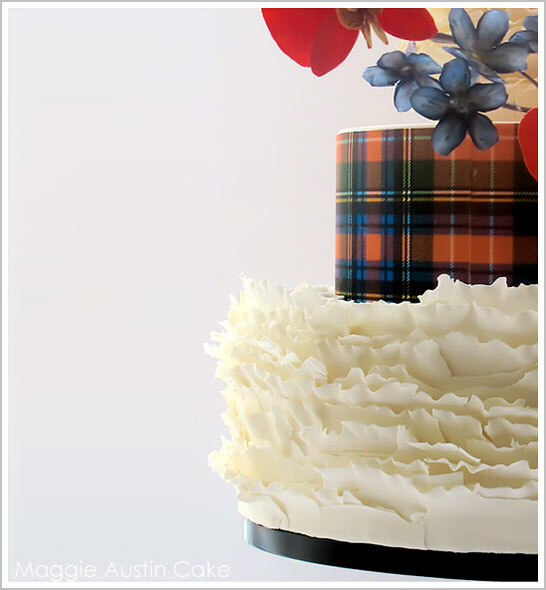 I just love how the distinctive pattern of the tartan creates such a dramatic contrast to the airy fondant frills. Special thanks to Maggie Austin for sharing her exquisite Scottish Tartan Ruffle Cake with us today. 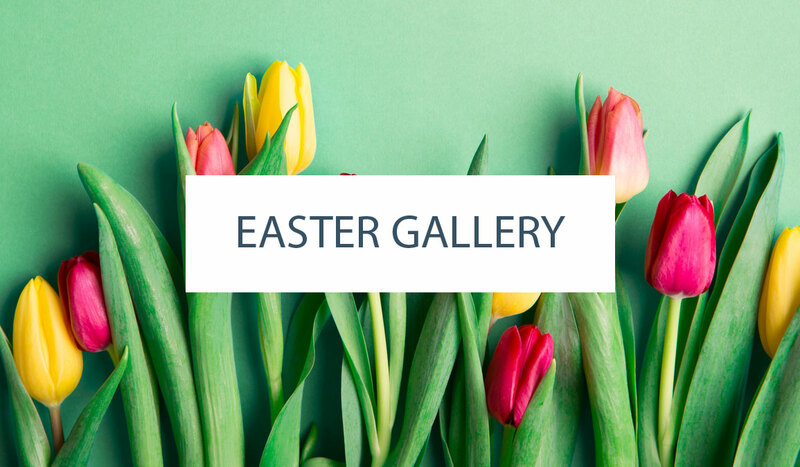 We’re completely swooning!! The holiday cake inspiration continues tomorrow with cake #4! Love, love, love this cake! Wish I was getting married in December!! This would SO be my cake! 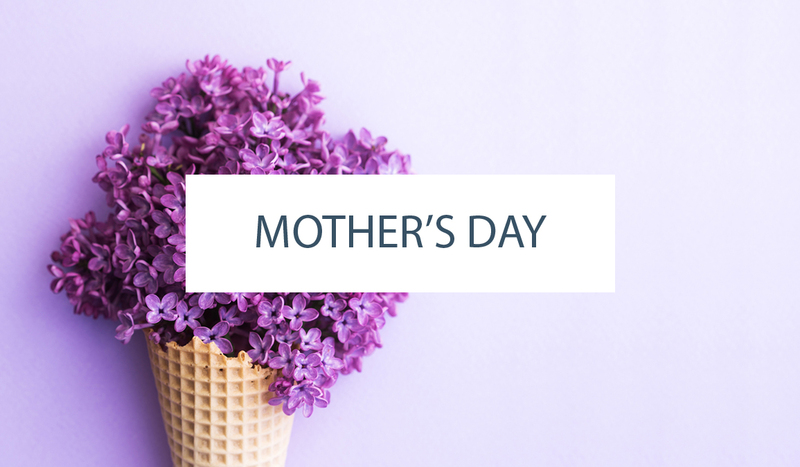 Jean – thanks for sharing your opinion. I have to politely disagree though. I think a fondant band around the bottom would detract from the delicate nature of the frills. I love that you can see exactly how dainty and incredibly thin the ruffles are!